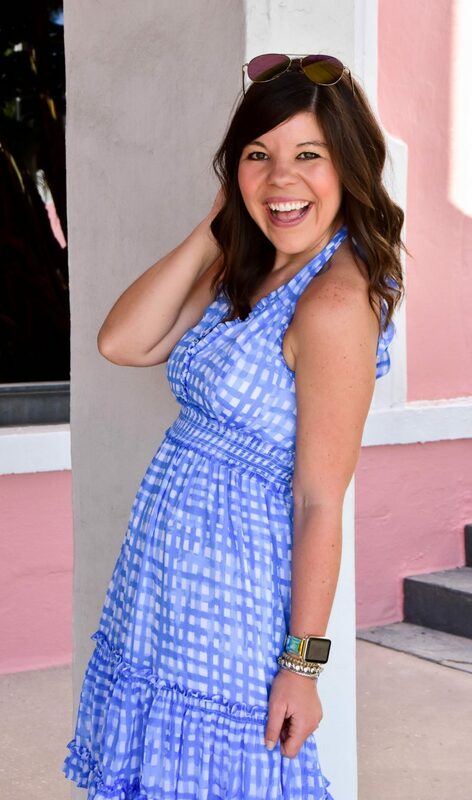 I absolutely loved the Lilly Pulitzer Spring collection! With her summer collection debuting I thought it would be fun to round up a few of my spring favorites. The bright colors and cheerful patterns are quintessentially Lilly, but there is a sophistication to this collection that makes it highly versatile too. I love that Lilly’s accessories add a pop of color to your everyday life, while her bold-patterned clothing draw the right kind of attention to you 🙂 Lilly knows how to make everyday a party! PS- Have you entered my B. Ivy bow bracelet giveaway yet?? If not hop on over and get your name in (Friday is the last day to enter)! LOVE that baby blue dress on the right!